The touch screen control interface, integrated with an automation controller, makes the ExpressPak a favorite of machine operators. 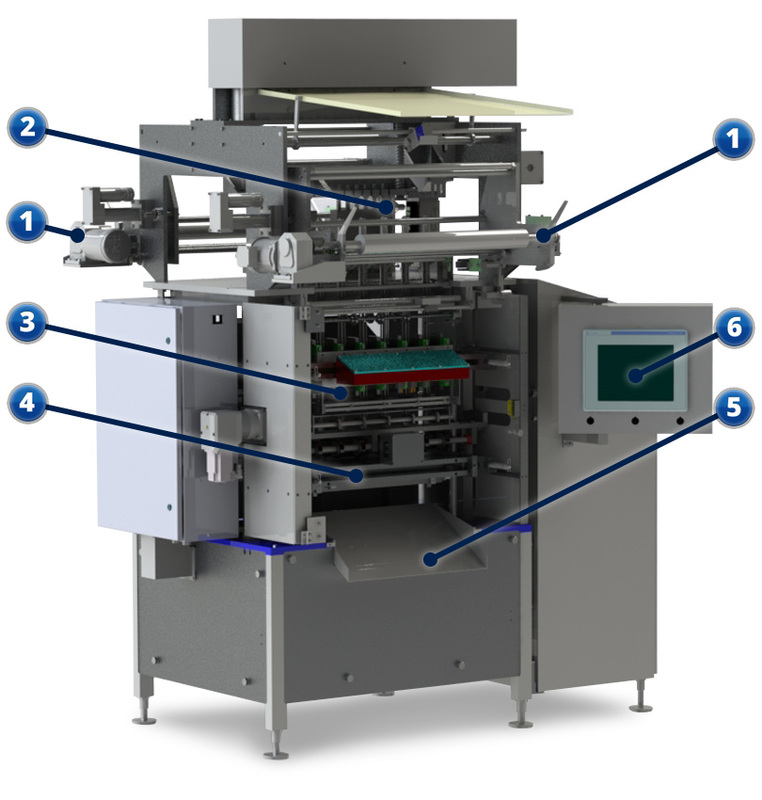 The ExpressPak filler utilizes intermittent motion to vertically form, fill, and seal both mixed and pure liquid products spanning a wide range of viscosities and textures. 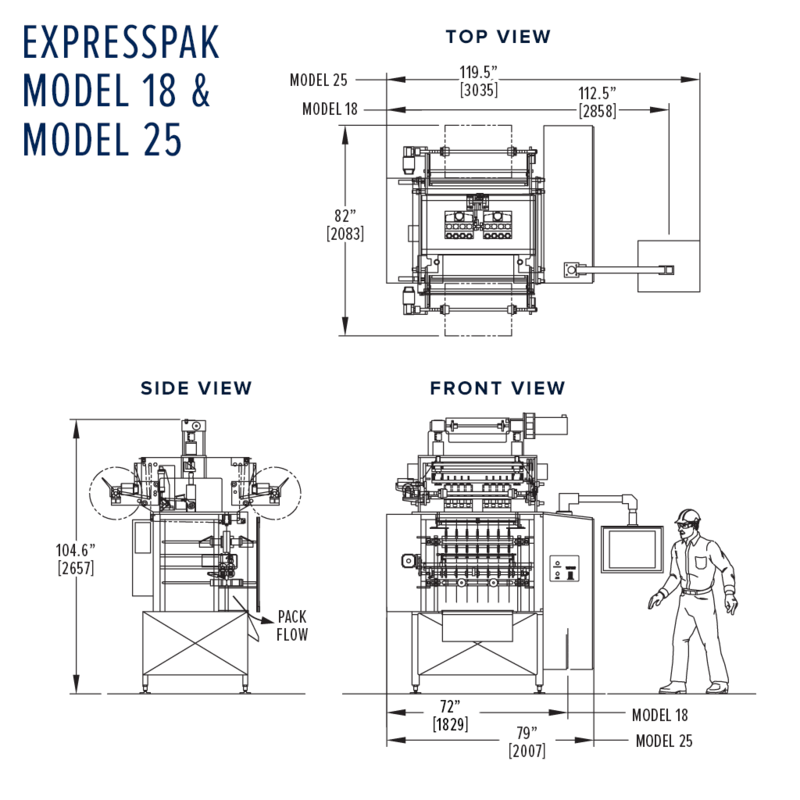 Our modular design minimizes changeover time and reduces the costs of change parts, making ExpressPak a smart business decision for your bottom line, too. SPECIALTY — Custom applications available. Contact Ropak. ExpressPak delivers improved efficiency & reliable dosing. Pouch Size Max: 18" x 12.75" 25" x 17.75"
Pouch Size Min: 1.5" x 1.5" 2" x 3"
Roll Diameter Max: 22" 22"
Dimensions: 69" x 71" x 144" 77" x 71" x 104" / 114"